See the city from up high! 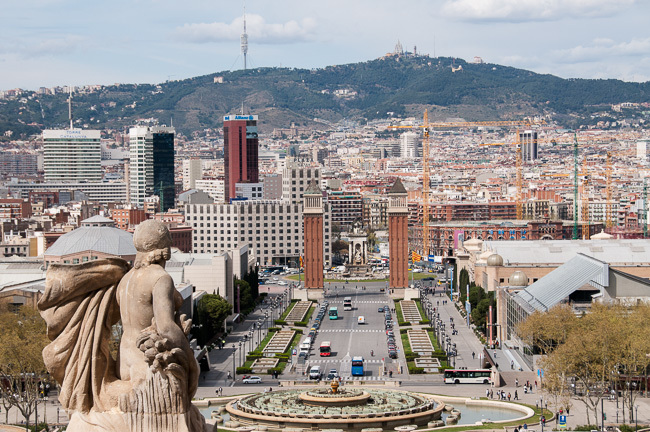 Rising up like a green lung from a city crammed with concrete and asphalt, Montjuic is a haven of tranquility – and a great destination for a Barcelona bike tour. Verdant acres of trees, plants and lush grass blanket the hill that is home to the city's preeminent Olympic facilities and a stoic castle that looks out over the azure Mediterranean expanse. 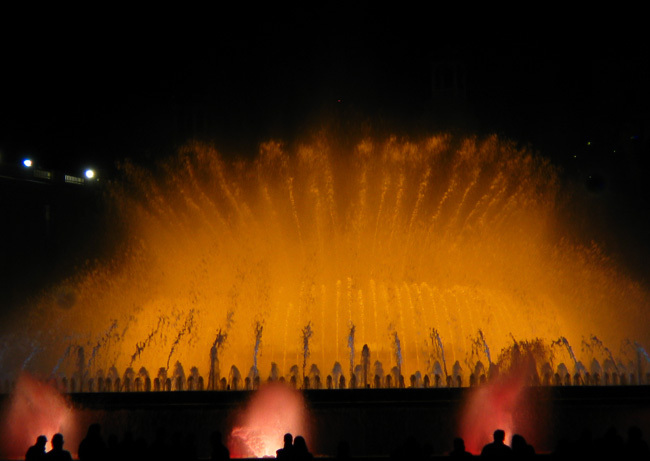 The multi-colored cascades of water at Font Magica, or Magic Fountain, punctuate Montjuic´s northern flank. 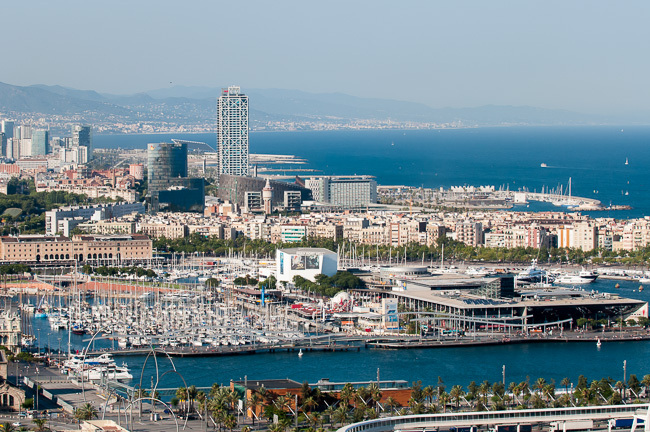 Our Montjuic bike tours are perfect for travelers interested in Barcelona´s more tranquil side. We lead our small groups to Montjuic through some of Barcelona´s more interesting forms of transportation: metro, funicular, sky trolley. Read on or book Montjuic by day bike tour (no foutains show) or Montjuic by night bike tour (with fountain show) now! Enjoy a nice ride on the Telerific de Montjuic, a gondola system that takes you to the fantastic views at the mountain´s fort. What's Included? Price includes bike delivery & pickup, guides, metro and a one way Teleferic ticket. Click here to begin the booking processfor the Montjuic by Day private Barcelona bike tour. (no fountain shows). Click here to begin the booking process for the Montjuic by Evening private Barcelona bike tour. (with fountain shows). Questions about our tours? Contact us to start a dialogue about what you need and when you need it. 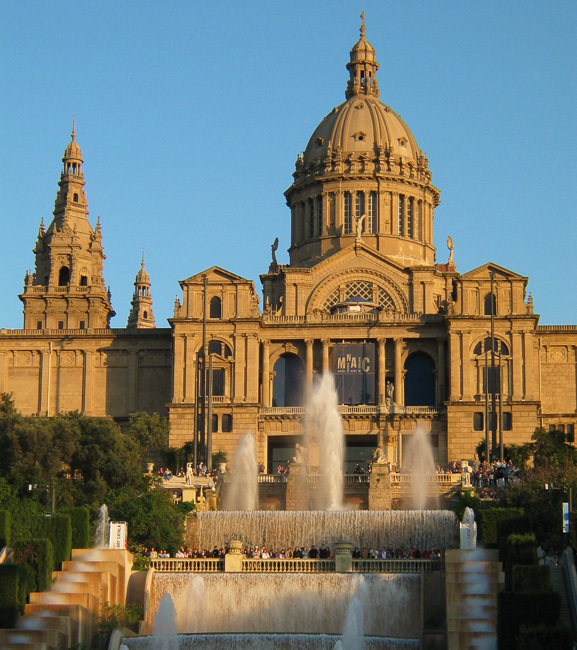 "Majesty" is a good way to describe what Montjuic has to offer. Sweeping views of the Mediterranean to the east and the mountains to the west will embrace you as you stand atop the emerald hill. 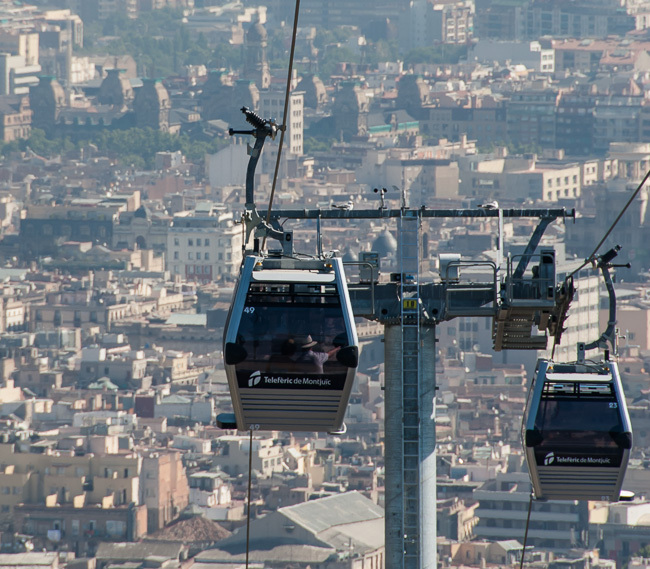 Your ascent to the top of Montjuic will take place through some of Barcelona´s more interesting modes of transportation. You´ll take the metro to a funicular, which will ascend halfway up the side of the hill. At the end of the ride, you´ll exit the funicular and step into a gondola that will rise above the lush gardens of Montjuic a glide toward the top of the mountain where you'll take in marvelous views before coasting down the "Green Lung" on your high-quality, top-of-the-line Dahon folding bike. 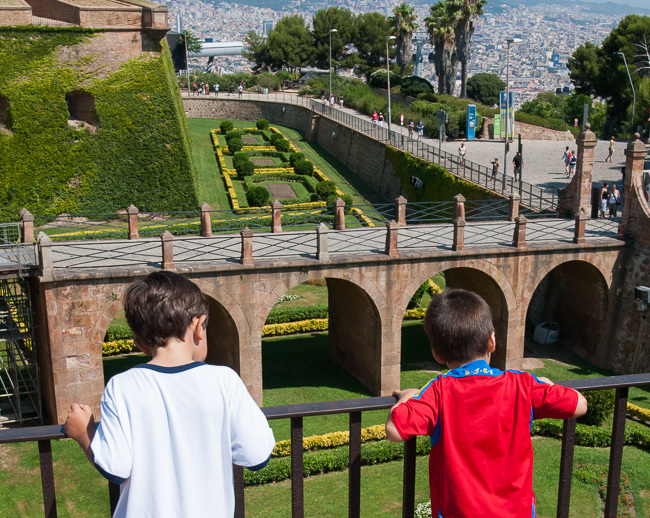 Before heading down the hill, you'll visit Montjuic´s fortress. 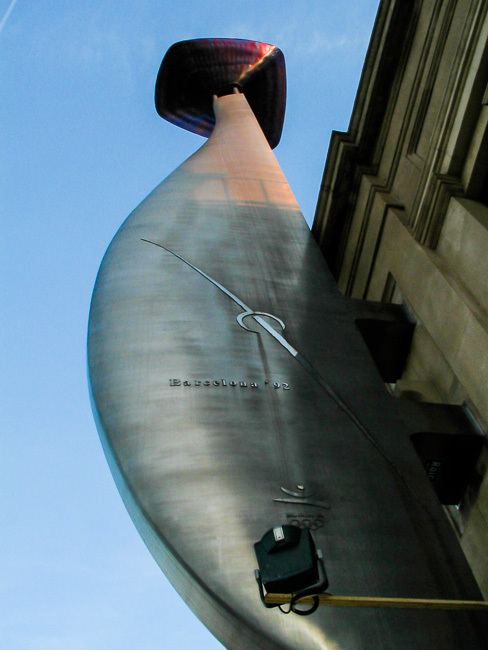 Set foot on ground that´s seen the surly sins of two despots loathed by many in Spain: Napolean and Francisco Franco. Learn about the fortress' dubious history as you walk through its stone-lined halls. 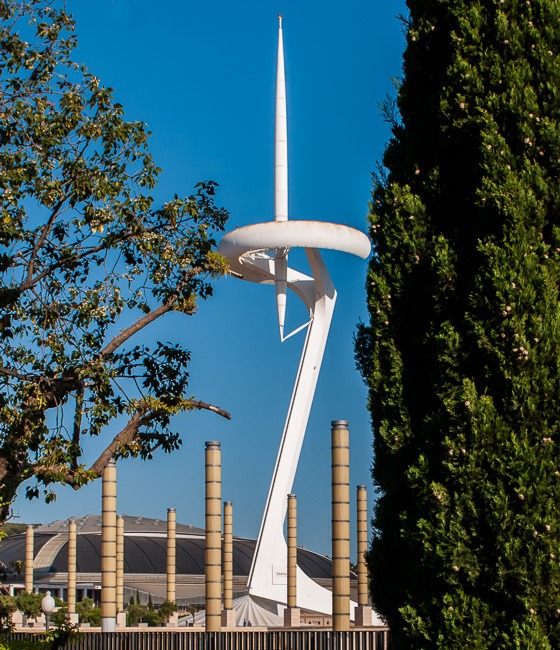 Montjuic´s fabled flanks offer more history as you cruise down winding roads to the Olympic Ring, the collection of sites built for the 1992 Summer Olympic Games. Sunlight will warm you as you pedal to several of the sporting facilities that made the city´s Olympics one of the most memorable in history. Hop back on your bike and cap your tour with a visit to Font Magica. Day tour riders get a quick look at the fountains, while night tour riders will witness a breathtaking show of water, light and music. Magic Fountain Bike tours start a few hours before the fountain shows. Times vary depending upon season. 1st of October to 30th of April. Shows take place on Friday & Saturday. Show times for this bike tour are: 19:00 & 19:30. You Decide: You will be met by your guide at your hotel or apartment. From there you will be taken to the Castle of Montjuic by way of the "funicular" and the gondola of Montjuic. Bike Delivery & Pickup: Is included in this tour. Your bikes will be waiting for you at the top of Montjuic for you to enjoy an nice easy ride down into town.